Knit as a challenge to myself while travelling in Europe. Read more about the challenge and the process. 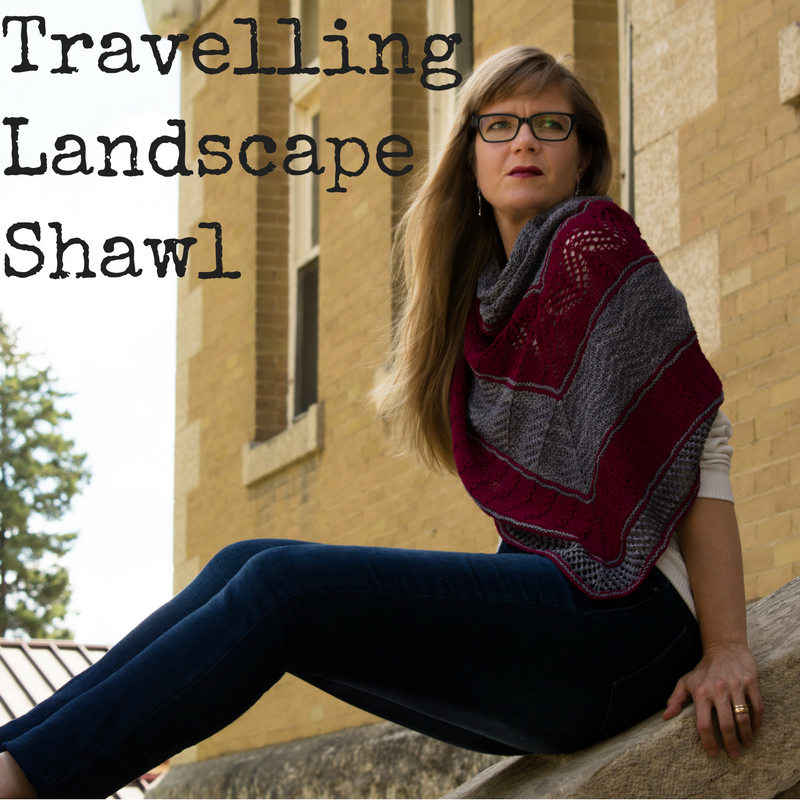 Featuring colour blocks and changing textures, this triangular shawl is both bold and subtle. 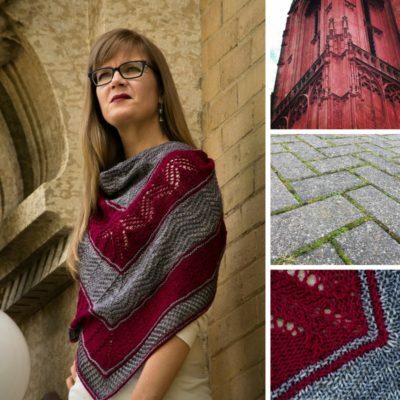 With chevron textures, unusual stitches, garter stripes, lace, and mock cables you’ll never be bored! Fun to make and flattering to wear. The final section is a simple 4 row repeat so that you can easily keep going if you want to have a larger shawl or use all of your yarn. Charted pattern only. There is a link in the pattern to a YouTube tutorial for an unusual (but not hard) stitch used in the mock cables.